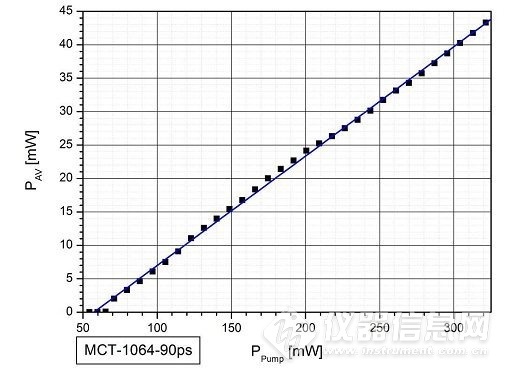 The average output power P and the repetition frequency fR are a function of the optical pump power. These dependencies are nearly linear above the laser threshold. 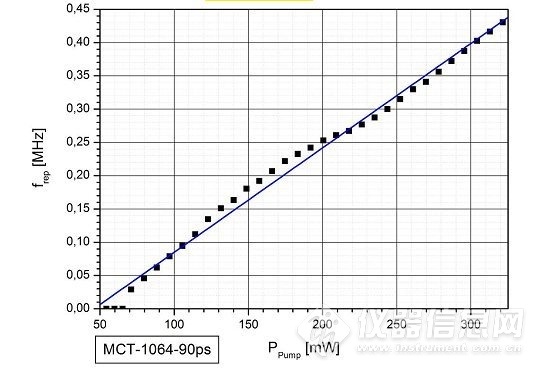 The jitter of the repetition frequency decreases with increasing pump power. 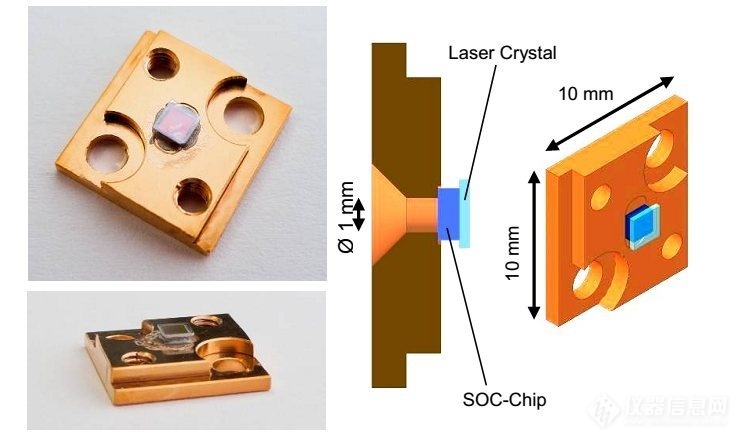 The microchip consists of a saturable absorber mirror (SAM) and a Nd:YVO4 laser crystal. 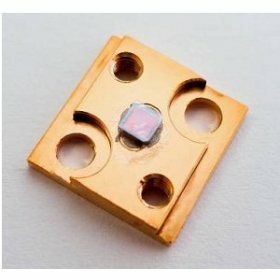 Because the SOC is transparent, the laser setup must be in transmission mode. 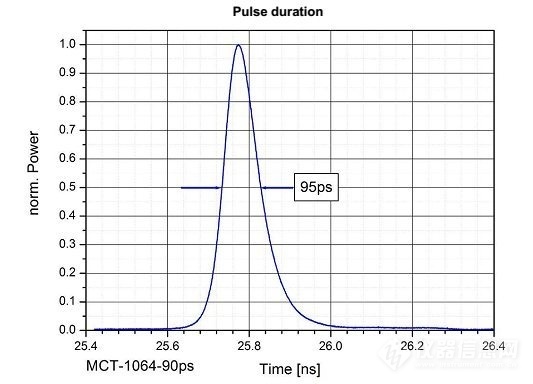 For optical pumping a multi mode laser diode with about 500 mW cw output power at 808 nm wavelength is sufficient. 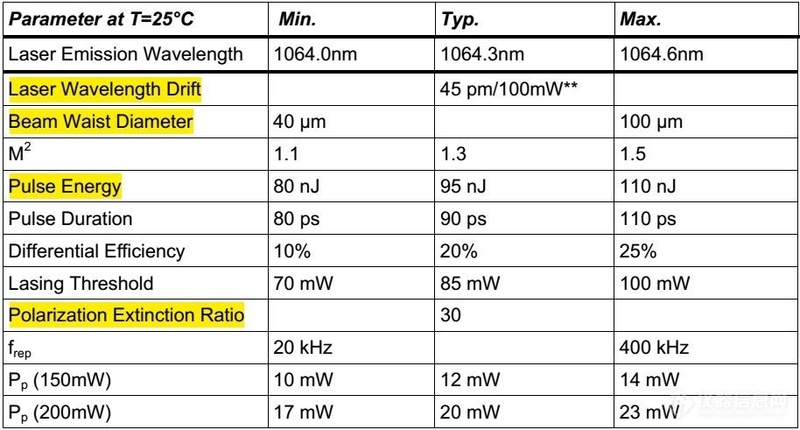 The proposed laser setup using two lenses is shown below.